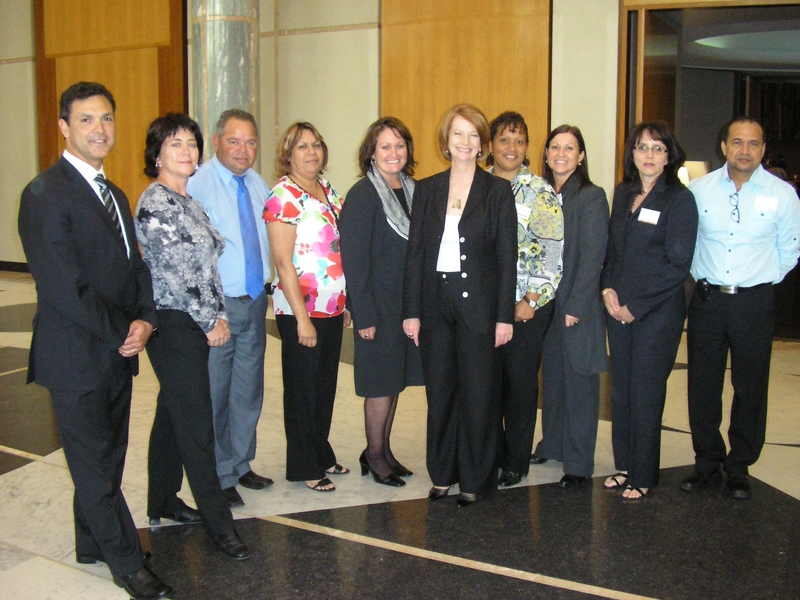 The National Aboriginal and Torres Strait Islander Principals Association (NATSIPA) was incorporated in 2010 as an Australian Indigenous Principals Association supporting, developing and building capacity to promote quality Indigenous leaders. Our executive committee teleconference each month to keep up to date on our involvement in the national education agenda. To be the foremost representative voice of Aboriginal and Torres Strait Islander school principals adding value to the national education agenda. To increase the breadth and depth of high quality Aboriginal and Torres Strait Islander principals in educational leadership. To sustain a coordinated professional support network of Aboriginal and Torres Strait Islander educational leaders. To build strong relationships and partnerships with principals, education systems and other organisations working to improve outcomes for Aboriginal and Torres Strait Islander students. To work with education and professional representative groups to strategically influence future state and national policies relating to the well-being and life chances of Aboriginal and Torres Strait Islander Australians. To promote reconciliation and greater understanding and respect to ensure that Aboriginal and Torres Islander knowledge and cultures inform education policies. To analyse and advise on the impact policies and practices have on Aboriginal and Torres Strait Islander school communities. The property and income of the Association shall be applied solely towards the promotion of the aim and objectives of the Association and no part of that property or income may be paid or otherwise distributed, directly or indirectly, to members, except in good faith in the promotion of those aims and objectives. Merry Christmas to all our deadly leaders and supporters of NATSIPA.